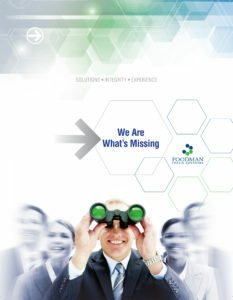 Foodman CPAs & Advisors is one of Florida’s most respected forensic accounting and advisory services firms. Our clients include some of the best-known names in law and business, locally, nationally and internationally. We serve attorneys, large and small businesses, financial institutions, government entities, not-for-profits and individuals. Founded over 40 years ago, we began as pioneers in the field of forensic accounting, building our reputation on a record of results in complex legal cases. Today we are proud to be the forensic accounting and litigation support firm of choice for some of the best attorneys in the country. The firm grew along with its client base, into a team of experienced professionals that serves a wide range of industries including: law, financial institutions, healthcare, entertainment, and real estate.